Unlike other ablative procedures, the Gemini laser is a gentle, yet highly effective laser treatment, with less downtime. 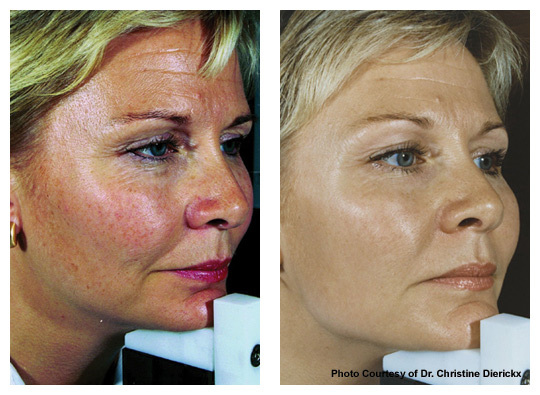 Encompassing two separate wavelengths, the laser can be used to treat almost any skin condition. Upon consultation at our Melbourne based clinic, the medical practitioner will assess your skin concern and devise a treatment plan to suit your individual skin type and treatment goals. Our medical staff will design a programme of treatment for you and will monitor your progress carefully throughout. Environmental, as well as internal ageing processes contribute to the depletion of collagen and elastin in the dermis, which results in skin laxity, enlarged pores and fine lines. A course of laser treatments help stimulate the production of collagen to strengthen the dermis and rejuvenate the skin. 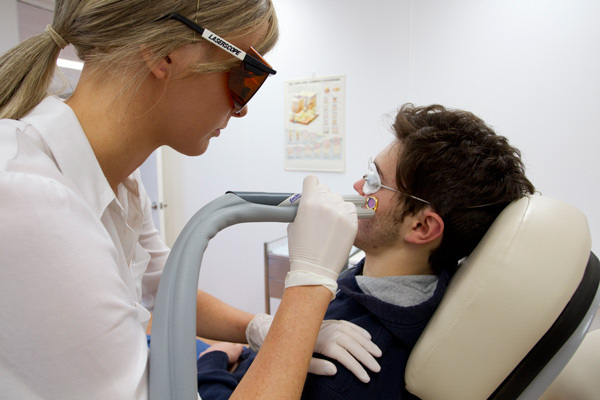 The laser light travels into the dermis, creating a thermal response, which ignites the inflammatory cascade, and eventually the stimulation of collagen and elastin. For most benefit, treatments are scheduled monthly intervals to help promote collagen building and strengthening within the dermis. This has an improvement in skin tightening, reduction in the appearance of enlarged pores and fine lines/wrinkles. You may experience mild-moderate inflammation post treatment, which may take between 1-5 days to settle. During this time it is best to reapply cold packs and aloe vera to aid recovery, and to avoid exfoliating, scratching or picking the treatment area. Chronic sun exposure is the main contributor to the development of pigmentation and premature ageing, including sun spots, solar lentiginies (age spots), skin laxity and a dull, sallow appearance. 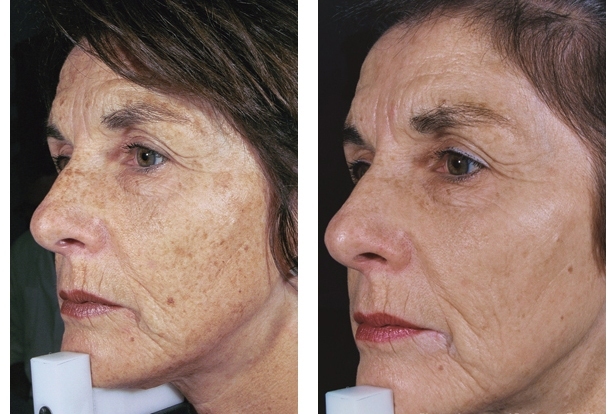 The Gemini laser offers an effective treatment for improving the skin clarity and luminosity, by minimising pigmentation and stimulating collagen. 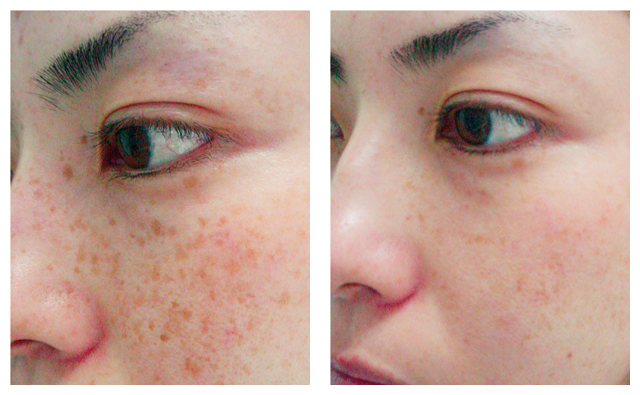 The laser light is attracted to the abnormal deposition of melanin (sun spot), which creates a photo-thermal response, effectively lifting and removing the pigmentation. The pigment will become darker and form a crust, in preparation to be shed in 7-10 days. By creating thermal injury within the dermis, the laser creates an inflammatory cascade, which eventually results in collagen stimulation. This offers improvements in skin tightening and luminosity, combating the signs of premature ageing. Dark crusting is a normal consequence post pigmentation treatment, and may take between 7-10 days to slough off. During this time it is important to abstain from exfoliating, scrubbing or picking the treatment area until well recovered. You may expect mild-moderate inflammation, including redness & swelling which can take between 1-5 days to settle. During this time it is best to reapply cold packs and aloe vera to aid treatment recovery. 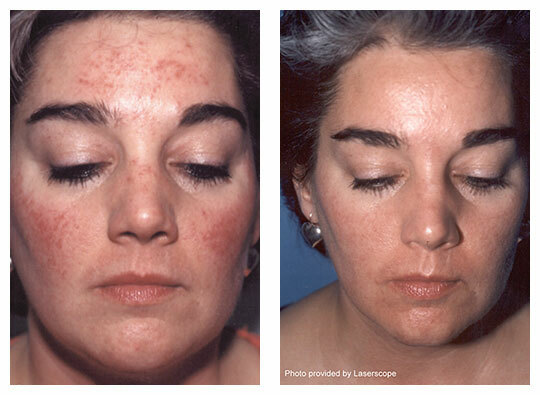 Rosacea is a vascular condition resulting in facial flushing, broken capillaries and papules. The exact cause of Rosacea is unknown and therefore there is no cure available. Gemini laser treatments are aimed at reducing and controlling the symptoms. A course of treatments may be required to help relieve the severity of facial flushing and minimise the appearance of broken capillaries, improving skin clarity. Daily encounters, such as environmental changes, diet and stress, have the ability to flare Rosacea symptoms, and therefore important to understand that maintenance treatments may be required to keep symptoms at bay. For treatment of vascularity, the laser light is absorbed by oxy-haemoglobin within the red blood cells. This creates a thermal response, radiating heat to the vessel walls, which causes the blood vessels to break and disperse. Post treatment the skin will be inflamed, as the blood is temporarily pooled into the area, before being absorbed by the lymphatic system. Therefore you can expect mild-moderate swelling and redness for 1-5 days post treatment. You may also notice mild purpura (bruising), which is a normal response of vascular treatment, and should settle within 7-10 days. Cold packs and aloe vera may be applied to help settle the inflammation, and it is best to refrain from exfoliating, scrubbing or scratching the treatment area until well recovered. Keeping the head on a slight elevation whilst sleeping will help to minimise any swelling. 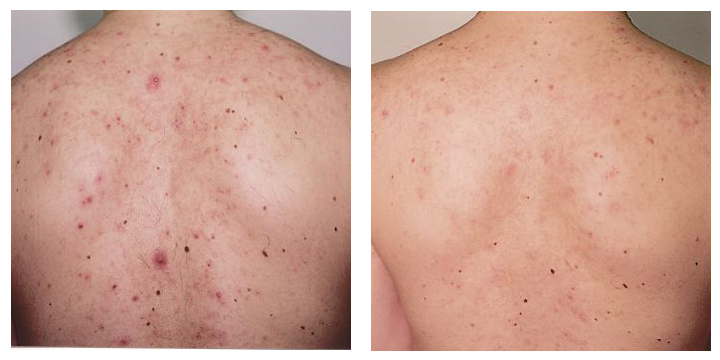 Gemini laser treatments are effective to help control acne symptoms, by reducing the severity and frequency of breakouts, as well as minimising the appearance of inflamed lesions and pink acne marks. The laser light creates a thermolysis response to p.acnes, effectively killing the presence of bacteria which is responsible for acne lesions. The laser also has an effect on controlling sebum flow, by shrinking the sebaceous glands. This can help minimise the occurrence of congestion and pustules. 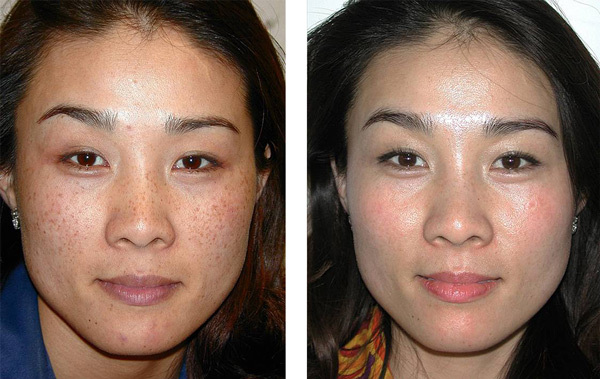 By stimulating collagen within the dermis, the laser also improves the appearance of acne scarring. 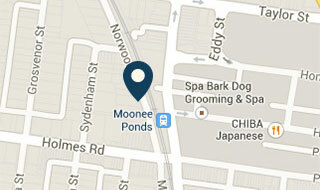 A course of laser treatments are best, scheduled between 2-4 weekly intervals. 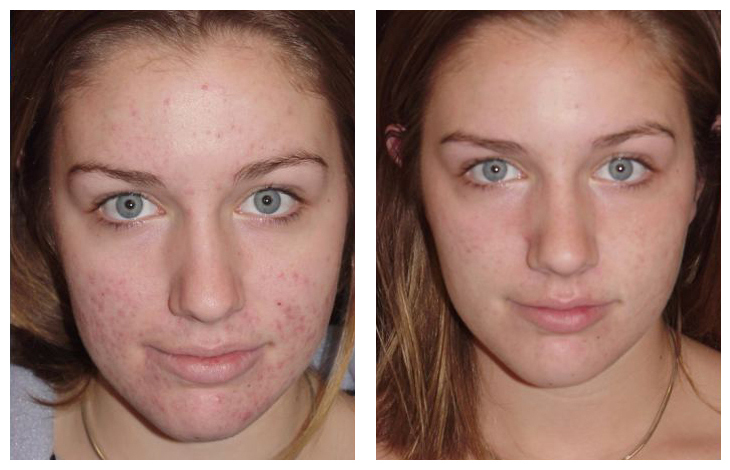 Once the desired results are achieved, maintenance treatments will required to keep on top of acne breakouts. It is important to note that treatments are not a cure, but a reduction of acne symptoms, and best used in conjunction with a medical skin care regime for long-term management.